Born July 14, 1982 to Andy and Elaine (Stentzel) Montgomery in Sutter, California. Died October 12, 2018 at Legacy Emanuel Medical Center in Portland, Oregon. 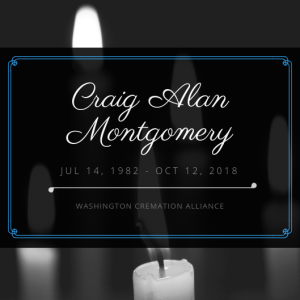 Love you, Craig. You will be missed greatly.